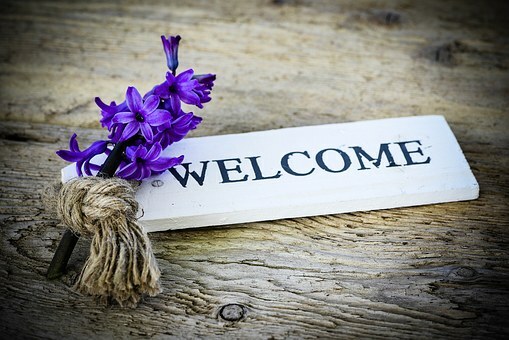 This page has gone through so many transformations over the years, but the message is always the same regardless of where you have been or what has happened to you – WELCOME! Life can be challenging. Healing your True Self leads you through many winding pathways. One of those pathways brought you to me, so Welcome! Look around, contact me, share your thoughts with me! I am here to assist you as I can! It’s 2019 and it’s a scary world out there! While you may struggle against the events taking place around you or within you, know that you can make a change and heal yourself of that which is not positive! This site showcases some of my Work Cases and my Blog, and is an access point for my Services and the Classes I teach. First and foremost, though, is the ability to contact me! Use the Contact Me section – send me an email and let me know what you are experiencing. There are Self-Help options as well and that is where it all begins, yes? It may be that you can help yourself or it may be that you need some assistance to move forward. Regardless – I want to be a Resource for you as you shift and heal and grow! So look around; see what attracts your attention, and definitely let me know if you don’t see something you want to know more about! Your feedback is vital to keeping this page fresh and up-to-date and I honestly love when I get it! Just as with my classes, having you ask me your questions and tell me what you need helps me become a better practitioner, a better teacher, and a better human being, period! So – again – Welcome! Your gifts just astound me! Your level of detail and intelligence surpasses anybody I’ve ever met in my life in this field of work! I very much appreciate your efforts and you are helping allies!! I feel very good today, Julia…..VERY. I feel very,very good …the way I should!! Amazing. That first chakra work to Mother Earth is always my favorite because it connects me to the organicness of what I really like.. how I really like to feel from that first chakra work to Mother Earth. You Won’t Be Disappointed! Julia is an experience! From the moment I met her I knew that she was the truth. I highly recommend her services. I have taken several classes with her, and intend on taking more. She is knowledgeable, kind, welcoming, and spiritually gifted. I have been on my spiritual journey for 25 years and have not encountered anyone who can do what Julia does. She has guided me through intense healing, and has provided messages from the Archangels and Ascended Masters in a way that speak directly to my needs. Julia’s currency is Truth and Love for one’s highest and best good. I am eternally grateful to her. We love to hear from our readers and clients! Keep us updated on how you are doing and if we can help! Continue reading → Why Seeing a Healing Practitioner May Help!